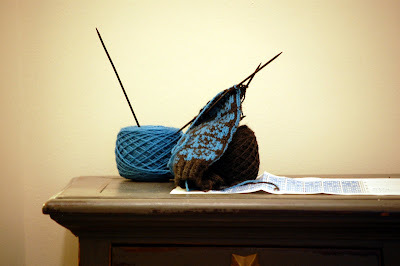 Work continues on my blue faience hippo-inspired mitts, aka. "William It Was Really Nothing." I fear that name might very well stick. In any event, expect the pattern soon. And yes, there will be socks. Blue hippos are just great! December 30, 2010 at 9:50 a.m.
December 31, 2010 at 5:42 a.m.